Sony has made some splashes with their new line of waterproof Walkman. 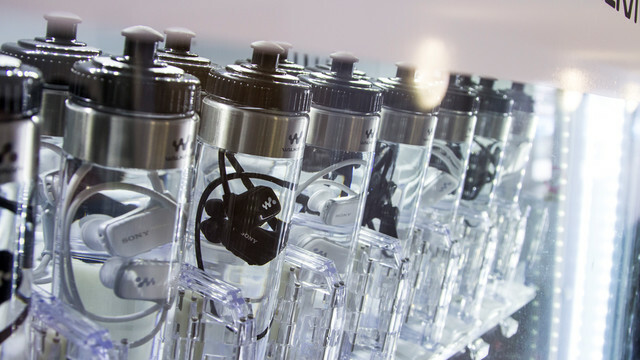 It wasn’t quite enough for Sony to just let everyone know that their W Series Walkman is completely waterproof. It wasn’t even enough for them to show a video of a swimmer wearing them while doing laps. For Sony, it would be good enough only if they could show you in person just how waterproof the headset is. And leave it up to Sony to find a way to do just that. Watch the below video to get a glimpse of their new idea. If you’re planning a trip to New Zealand, you’ll be happy to see “The Bottled Walkman” in select vending machines. Bringing the tech right to the consumer, the plan is to stock the floating headphones alongside sports drinks in places like gyms. These definitely prove that the headphones can endure being submerged, especially since they may sit in the refrigerated machines for days, or weeks. Once the bottle is in hand, the last decision to make is whether to brave drinking any of that water.